If you have any questions or technical enquiries not addressed below, please feel free to contact us. Can I use my existing solar panels that I have on my roof? Unfortunately not. Redilight solar panels are manufactured specifically to suit Redilight Skyfixture™ and electronic equipment. Using unauthorised Solar Panels will void all warranties with Redilight. 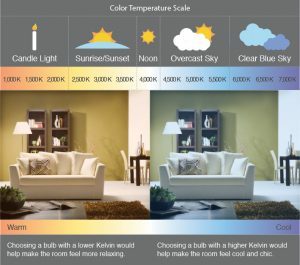 What is the difference between 3000k Warm White & 5000k White light? 3000k Warm White is a softer light on the eyes resembling more of an old incandescent light bulb. 5000k White is a clear white light. Click here to see a light colour guide. Can I dim the Skyfixture™ or turn them off completely? Can I use the Redilight at night also? Yes you can, Redilight has available a Day/Night kit that allows you to use solar during the day then it can be switched to low voltage grid power for night time use. Click here to view our Day/Night option. Can I add lights to my Redilight system later on? A lot of Redilight customers initially purchase a larger sized solar panel which will allow you to add to your system later. Once you have a larger panel, you simply purchase Redilight Skyfixture™ and install to your existing system. What if my Redilight is too bright? If you have a 24 watt or 48 watt Skyfixture™ you can reduce the wattage on the Redilight driver – Click here to see how. The other option is the Redilight Remote Control. Can anyone install a Redilight? Yes, Redilight is classified as extra Low Voltage (DC), which means you don’t require an electrical licence. If you are using a Day/Night kit, you’ll need an electrician to wire up a power point / plug socket for the Day/Night power supply to plug into. What is an IC-4 rating and why should I only use IC4 rated light fittings? IC-4 is an Australian/New Zealand Standard surrounding Recessed Luminaires. Having an IC-4 rated luminaire installed is a far safer practice than having one installed without the IC-4 rating. If you are unsure whether or not your current installation meets the IC-4 standard, contact your installer today. For more information on the IC-4 Standard, please see the document by clicking here. Do you have people to install for me if I can’t? Redilight has a national distributor network that can offer supply and install services or supply only. Visit out distributor page to find your closest distributor. What is the warranty on Redilight products? Redilight is the industry leader when it comes to warranties. View our warranty document by clicking here. Do you have reviews I can read? Do you have pictures of Redilight installations? What makes Redilight the market leader, what's difference between Redilight and other brands? Our warranties are what makes us market leaders. Generally other brands only have a 1,2,3 or maybe a 4 year warranty on their light fittings. Redilight has a 7 year warranty on our Skyfixture™. This is due to the high quality componentry we use along with our light drivers being manufactured in Brisbane, Australia. If you consider yourself quite handy, then yes, Redilight is simple to install. Otherwise we recommend getting a tradesperson / handyman to install. Can I purchase direct, how do I purchase? I want to install 1 x 6 watt light, but can only order 2, why? The 6 watt Skyfixture™ can only be installed in lots of 2 or 4 lights. This is due to the light driver being set at 12 watts or 24 watts. You can’t install 1 or 3 lights as you will overdrive the lights and void the warranty.